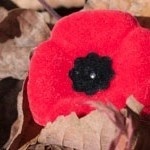 Did you know November 8 is National Aboriginal Veterans Day? If you are new to the knowledge of the significant contributions of Indigenous veterans during the First and Second World Wars, and the Korean War, here are some facts to pique your interest and build your knowledge. We have included a number of related articles found on our blog as they provide the background that underscores the irony that so very many Indigenous men and women felt compelled to enlist to fight for democracy. If you find any of them of particular interest, please share with family, friends and peers. At the end of the Second World War, Indian Affairs reported that 3,090 status Indians had participated in the war “(2.4% of the 125,946 status Indians identified in the Canadian census).”  Again, this figure does not include non-status Indians, Inuit and Métis soldiers. Enfranchisement was extended to include status Indians who joined the military. Status Indian veterans returning from the Second World War found that while they may have fought for their country, they had lost their status in the process and had no home to return to. 9. Manitoba was the first province (1994) to recognize November 8th as Aboriginal Veterans Day. It was not until 1995, fifty years after the Second World War, that Indigenous Peoples were allowed to lay wreaths at the National War Memorial. The National Aboriginal Veterans War Memorial was unveiled in Ottawa on June 21, 2001. On June 6, 2005, the 61st anniversary of D-Day, twenty Indigenous veterans of the Second World War were honoured at the Bény-sur-Mer Canadian War Cemetery in France, near Juno Beach. Here's another related article for you to read "War of 1812 Who won? Undecided. Who Lost? Aboriginal Peoples of Canada"
If you're looking for some free resources to support your goal to learn more about Indigenous Peoples, check out our Free Resources page - you can download ebooks, sign up for info specific emails, access our blog and subscribe to our monthly Indigenous Relations Bulletin.